Did you know that the first car produced by Audi had only 21 hp? Who was the second largest car manufacturer in the U.S. in 2010? Kia, before producing cars, has produced steel pipes and spare parts of bicycles! And in 2010? The famous show “Top Gear” voted the Koenigsegg Ager Hypercar of the year! 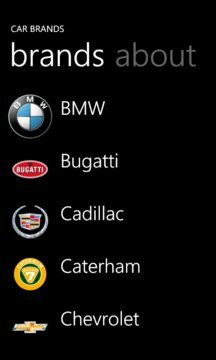 Car Brands is the app that brings on your mobile phone more than 60 car manufacturers, their logos, the main info and tips! 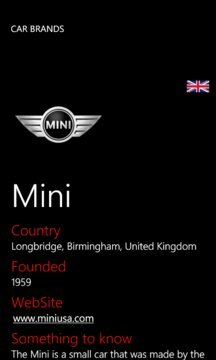 If you're passionate about cars and your favorite character is “The Stig” then this app is for you! Is your favorite car brand missing? Do you want to share information to make the app more interesting? Go on www.uptera.com site, visit Car Brands page and leave a comment.